Stephanie Schirber, MPAS, PA-C is a native Houstonian who grew up in Sugar Land. She graduated from The University of Texas at Austin in 2013 with a Bachelor of Science in Psychology. 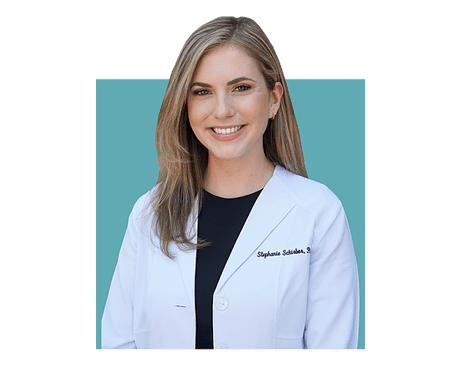 Stephanie then went on to attend Texas Tech University's Health Science Center in West Texas where she was a member of the Alpha Eta National Honor Society and earned her Masters of Science in Physician Assistant Studies in 2015. Following graduation Stephanie practiced internal and hospitalist medicine in Southwest Houston before joining Thomas Family Practice in January 2017. She has an interest in general medicine, preventative health care, and promoting healthy lifestyle choices. She is a certified physician assistant by the National Commission on Certification of Physician Assistants and is a member of the American Academy of Physician Assistants and the Texas Academy of Physician Assistants. In her free time, she enjoys spending time outdoors and staying active with family and friends.